THE RELATIONSHIP between the City of Kamloops and the Tk’emlups te Secwepemc is often heralded as the way things should work between municipal and First Nations governments. It’s somewhat unique because of the close physical location of the City and Band lands. Since Europeans arrived in the area more than 200 years ago, the two have worked together for mutual benefit. The Band and City councils got together last week to talk about common issues, as they often do. The meeting followed up on the recent signing of a letter of understanding aimed at protecting TteS culture and values. An engagement plan and cultural heritage protocol agreement is envisioned that would include promoting awareness of heritage sites as well as understanding of our history together. Who will pay for this and how much it will cost are appropriate questions but the initiative is a good thing to do. It will only be productive, though, if real measures are undertaken. That’s not always the case in well-intentioned protocols. Remember the Kelowna Accord? 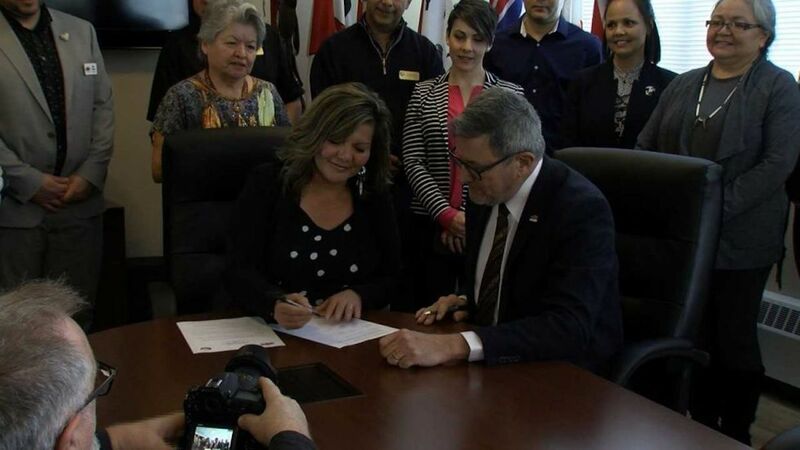 That was a series of agreements between the federal government, provinces and First Nations that were supposed to pave the way for improvements to education, employment and living conditions on Band lands. Hopes were high but it became entangled for years in financial details and political differences. If you do remember the Kelowna Accord, you probably don’t know about the Thompson Rivers Economic Accord signed by representatives of Kamloops local governments, federal and provincial governments and the Band to foster mutual economic progress. As political representation changed, the Accord was never acted upon. Multi-government accords are great in concept but actions speak louder than words. Let’s hope this newest one is different than the others.